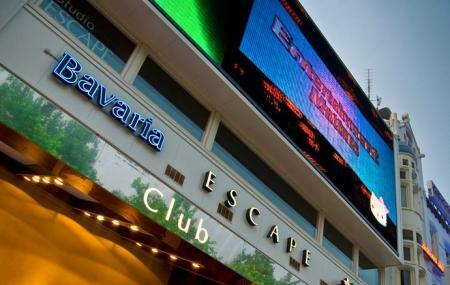 When you are in Amsterdam and you are looking for the best pub in the city, don’t look any further, Escape pub is here. From groovy music to the best club setting the destination is sure to make your party experience here an amazing one. Visit the destination and be a part of the amazing Amsterdam nightlife that is sure to charm you with its excitement and grandeur. Prices depend and can be known locally. How popular is Escape Pub? People normally club together Civic Guards Gallery and Foam Fotografiemuseum Amsterdam while planning their visit to Escape Pub. Good Vibes, Good Music and Nice drinks! Nice outside view, relax and chill in a very busy environment, Rembrandtsquare. Staff is awesome, they look good.. it's obvious that they like to work there! Lovely establishment. My first time going to Amsterdam, i went there for a quick dessert with hot chocolate. The staff were professional and pleasant made me feel welcome. Great first impression! The food was amazing and the service was superb. Nice place to have a drink or something to eat. Although the waitresses were friendly, we had to wait too long to order, felt like being ignored or neglected.